Two seat upholstered benches with a foam filled top and criss-cross stitching design. Available in a wide selection of fabrics and vinyl choices. Normal lead time is 7 - 10 days. 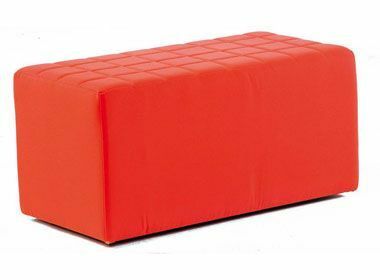 Soft touch bench seating available in a wide range of bold and vibrant colour options. Three sizes to choose from, this piece of furniture can be installed into a wide range of public applications.